Does it even exist? Did it ever exist? If so, I want their number. I think this day in age it's hard to find a trusted babysitter that I could leave my child with an enjoy a night out with the Wifey. I know, how could I pass up a night of babysitting in exchange for a used copy of Call of Duty on Craigslist? We have been lucky to have the mother in law nearby to occasionally pull some overtime and let us enjoy a night out but it seems that the Wifey and I are slowly re-gaining that itch to go out to dinner and not have to worry about what's on the kids menu. It also would be nice to watch a movie that isn't animated. This past weekend we tried to go to a wedding, it's been in the plans for awhile. We thought getting someone to watch the Baby would be a cinch; she's adorably cute and fun to watch but she also likes to sleep and stay asleep. It's not hard to sit in a house and listen to a baby not cry. But apparently the help we sought decided at the last second that it was a particular task that was far too daunting for any average 27 year old. 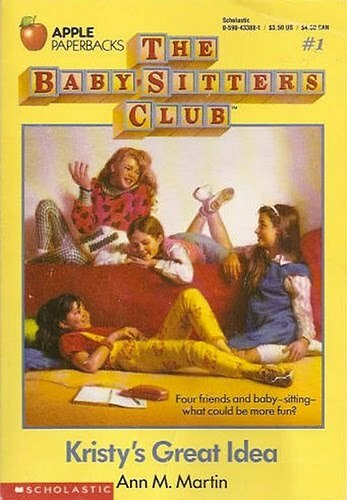 I just don't see how the 14 year old girls in the Babysitter's Club were able to do it. So now we're on a search for a reliable, trustworthy babysitter to be in the house while a baby sleeps. We don't care if your boyfriend comes over after his shift at Whataburger and smells of burgers and fries, just so y'all can neck and sext and whatever teenagers do nowadays. I just ask that you don't smoke in the house, don't drink, and your boyfriend brings home some leftovers. Although we adore the mother in law for willing to watch the Baby, she needs to get out as well. So, if the Babysitter's Club really exists, we're hiring. We found our baby sitter on SitterCity.com You have to pay a yearly fee, but its cheaper than some other similar sights we looked at and you can do background checks for $10 and sort your search based on tons of criteria. You can even post a job, like in the want ads, and let people apply.